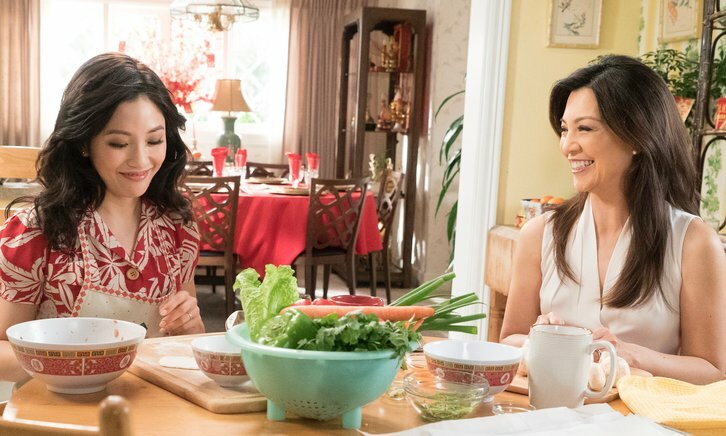 “Grand-Mahjong” – It’s Chinese New Year and the Lees, Elaine (Ming-Na Wen), Julius (Reggie Lee) and son, Horace (Jimmy O. Yang), are back. Elaine tries to give Jessica tips on building a better relationship with Grandma Huang. Meanwhile, inspired by a Lee family tradition, Louis challenges Emery to a wrestling match to start the new year; and Eddie goes all in betting his red envelope money on who will be the winner, on “Fresh Off the Boat,” FRIDAY, FEB. 1 (8:00–8:30 p.m. EST), as part of the new TGIF programming block on The ABC Television Network, streaming and on demand. Guest starring is Rachel Cannon as Deidre, Ming-Na Wen as Elaine, Reggie Lee as Julius and Jimmy O. Yang as Horace. “Grand-Mahjong” was written by Cindy Fang and directed by Kyle Weber.